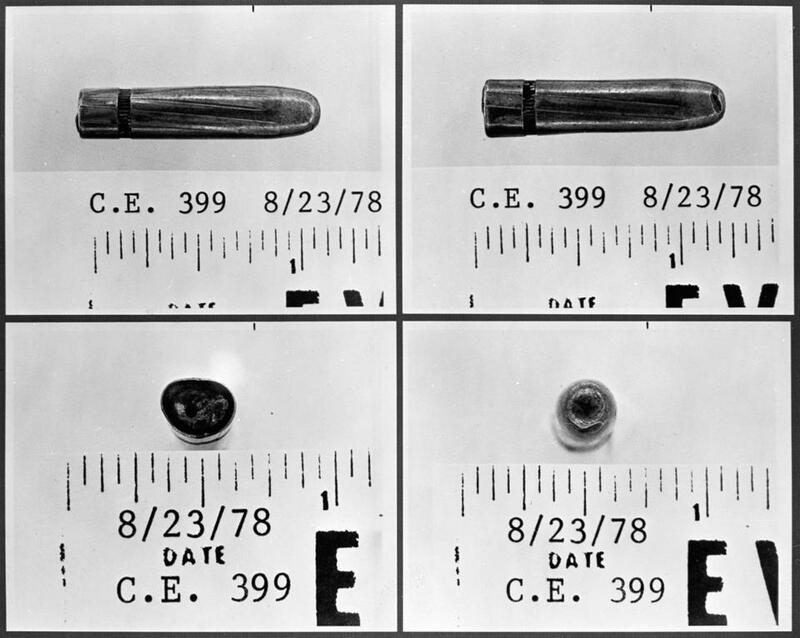 Among the files that have been made public are this series of photographs that show four sides of a bullet, found at Parkland Hospital, where President Kennedy was taken after he was shot. Researchers wonder what might be hidden among the many files that are still unreleased. WASHINGTON — There were the Pentagon’s top-secret reviews of Lee Harvey Oswald, the former US Marine — before and after the assassination. The files about the CIA operative who monitored the alleged assassin and whose knowledge of him was purposely hidden from congressional investigators. The sworn testimony of dozens of intelligence officials and organized crime figures dating back nearly four decades. And the government personnel files of multiple figures officially designated as relevant to the investigation. The documents, which could amount to tens of thousands of pages, are just some of the collections that government archivists acknowledge have still not been released a half-century after the assassination of President John F. Kennedy. As the nation marks the anniversary of JFK’s murder, there is a new push, including lawsuits filed under the Freedom of Information Act, to shake loose these and other classified materials that may shed light on one of the most unsettled debates of modern history: Was the murder of the nation’s 35th president the work of a lone assassin or a conspiracy, and did elements of the US government know about it, or cover it up, or knowingly destroy evidence to prevent other dirty laundry from being aired? The National Archives and Records Administration, which is tasked with working with the agencies that originally generated the files, reports that some 1,100 distinct documents that Tunheim and his team did not have access to remain shielded from public view. Memory tends to mist the edges. 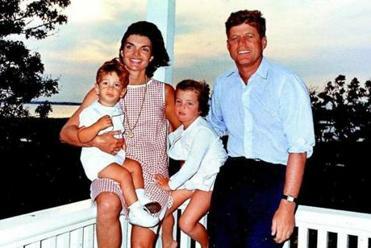 JFK led a sharply split nation, in which almost as many disliked as admired him, and with great conflicts looming. He also led a family, broken in ways that can be hard to properly hold in mind. The so-called 1992 JFK Records Act, the law that established Tunheim’s records review board, stipulated that all the files have to be released by October 2017 unless the president of the United States grants permission to keep them secret — something many researchers fear could happen if there isn’t more public pressure. Morley and others advocate an additional step that could help dislodge the remaining JFK assassination materials: allow any former government officials with direct knowledge of the secret records to discuss them publicly without the threat of jail. Just like the competing theories of who was responsible for JFK’s assassination — whether pro-communist or anti-communist Cubans; members of the American Mafia; elements of US intelligence; or some murky amalgam of all three — assassination researchers disagree on which of the withheld files could prove most illuminating. Some believe it is the files on US attempts to launch a coup in Cuba with the help of Castro’s internal opponents in late 1963. Others say it is the files on leading Mafia figures who were previously hired by the CIA to kill Castro but never testified before congressional investigations because they were slain just before they were about to appear. But there are several categories of files that they agree offer the prospect of bringing into better focus a plot that most Americans believe involved more than Oswald acting alone. Just as importantly, researchers say, the files could clear some individuals or agencies that have been suspected of involvement. Many assassination researchers believe what is left to be learned just might shed new light on a case that has been picked apart like virtually no other. Among them are the repeated references to a pair of security reviews that were conducted by the Navy on Oswald, a former Marine who defected to Russia before returning to the United States. 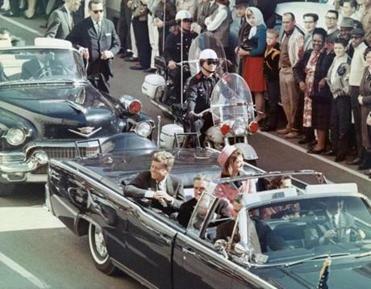 The information is considered by researchers to be critical to understanding what the military discovered about Oswald before and immediately after the assassination. In the 1990s the Assassination Records Review Board interviewed former military investigators who said they were involved in investigating Oswald. One former official reported that among the findings were that “Oswald was incapable of committing the assassination alone,” according to the board’s final report, issued in 1998 when the congressionally mandated panel expired. Soon after, however, the Navy officer tasked with responding to the review board’s requests was removed from her position, and Tunheim confirmed in an interview that his group ultimately received nothing. A spokesman for the Office of Naval Intelligence told the Globe that the agency does not keep records that old but said he would make additional inquiries. Repeated follow-up calls were not returned. Yet it is the CIA that remains the major focus of most disclosure efforts by journalists, scholars, and other researchers. “Most sealed records belong to the CIA,” said Miriam Kleinman, a spokeswoman for the National Archives and Records Administration. One category of records that researchers are anxious to see are the files related to George Joannides, a CIA officer who came to public light when he served as the agency’s liaison to the House Select Committee on Assassinations in 1978, which concluded the president’s death was likely the result of a conspiracy. But what the CIA didn’t tell the oversight panel was that Joannides had been monitoring Oswald when was living in New Orleans prior to the assassination and was involved with a series of Cuban exile groups with ties to the CIA as well as leftist organizations sympathetic to Castro. He called on the agency to make public everything it knows about the Joannides, who is now dead. “I think they should release them now because they clearly have become relevant to the assassination,” Tunheim said. The CIA maintains that it has provided all relevant documents to the Archives. Other withheld records, according to the National Archives, are from the files of several congressional inquiries of the assassination, beginning with a small number of documents from the original Warren Commission investigation that fingered Oswald as the sole suspect. More are from the so-called Church Committee that investigated CIA abuses in 1975 and in the process stumbled upon several JFK-related revelations, including that the CIA hired the Mafia to assist in his war against Cuban leader Fidel Castro and that the president was sharing the same girlfriend as a leading Mafia figure involved in those plots. Rex Bradford, who runs the Mary Ferrell Foundation in Ipswich and has digitized more than one million records related to the JFK case, has identified numerous depositions before the Church Committee that are referenced in the panel’s final report but have yet to be made public. They include the testimony on secret plots to assassinate Castro from CIA officers; Kennedy’s national security adviser, McGeorge Bundy; and the head of the CIA, John McCone. Also withheld are the panel’s interviews with CIA officials about “JM/WAVE,” the code name for the secret CIA station overseeing covert operations in Cuba that was located on the campus of the University of Miami. Other still-secret files were compiled in the late 1970s by the House Select Committee on Assassinations, which concluded there was a conspiracy to kill JFK. “The [withheld] collection includes records from Church Committee and House Select Committee on Assassination — there are records from both series that are withheld either in part or in full,” the National Archives’ Kleinman said in response to Globe queries. Longtime researchers of the Kennedy assassination assert that the fact that the files remain secret doesn’t mean the government wants to protect those who might have been responsible for the assassination. Still, Waldron and many other researchers believe that what is left to be learned just might shed new light on a case that has been picked apart like virtually no other. Mark Lane, author of “Rush to Judgment,” one of the first books to question the official narrative that Oswald was the lone assassin, also believes there still could be useful information hidden in government vaults.